This citrusy Cuban-inspired chicken is the easiest recipe ever, yet the flavors feel complex. If you didn’t know what went in it, you would swear there was an expansive list of ingredients in it. This one is definitely going into the dinner rotation. Ok so enough about how awesome this dish is, let’s talk about how to make it. I wish I was so creative enough to have come up with this on my own, but I’m not that great at simple. I found this recipe on Bon Appetit’s website some time ago. I found my bookmark last night before I hit the grocery store and am so glad I did. The leftovers were even more amazing today. 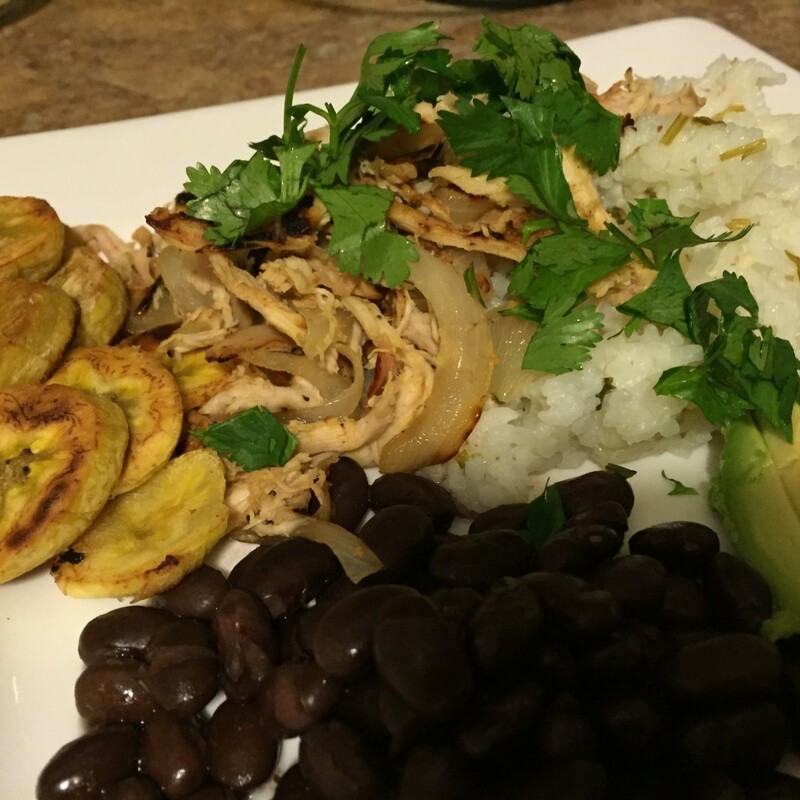 I paired the chicken with cilantro lime rice, black beans, and fried plantains. For the rice, I’m spoiled rotten and have the most amazing rice cooker ever by Zojirushi. So I can’t tell you the technical details on how to cook rice, thus why I have the cooker, but I can tell you what I put in it. For the plantain, I grabbed the ripest one I could find and ideally you want to let one get super spotty before you fry it. Simply peel, slice, salt and then add to a sizzling hot pan with oil until they are a nice golden brown.